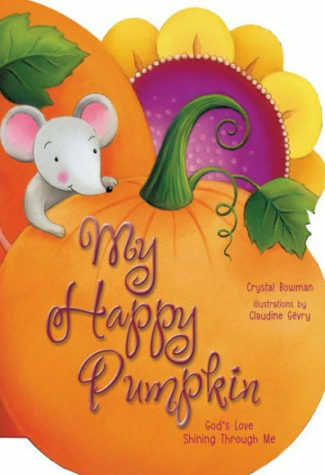 Small children will eagerly open this pumpkin-shaped board book to discover the delightful story and colorful illustrations, by artist Claudine Gevry. Using sing-song rhyme, author Crystal Bowman describes a fun fall tradition—carving a pumpkin face. But she adds a twist that helps preschoolers grasp the concept of God’s life-changing love for them. Just like we scoop out the inside a pumpkin, God makes us clean on the inside too.